It’s a busy week in the Allen household! We’ve got a lot going on during the days and evenings this week. I am in the process of coordinating our dog sitter for Europe and hiring an Italian tutor, as well as booking some lodging for our Europe trip and two summer trips in Eastern Washington. Other than the travel planning this week we’re hoping to go night skiing one day, both of us have some social obligations and I have a work function. Last week we started our Monday, Wednesday and Friday runs and so far they are going really well. I’m keeping up with Pilates and Alex has gotten back to the gym after kicking his flu bug into the past. 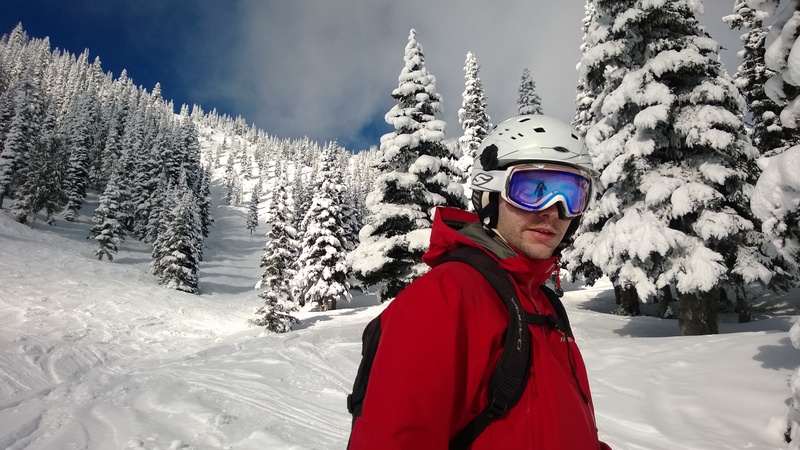 Photo from our ski day on Saturday! We had an awesome weekend! 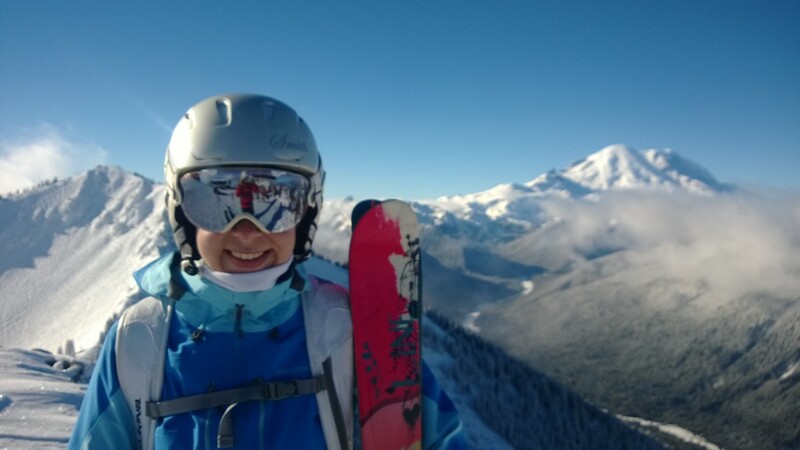 We started the weekend off with a ski day on Saturday. Jackson got to rage in the snow for about an hour before he went to take a nap in the car while Alex and I made a few runs. 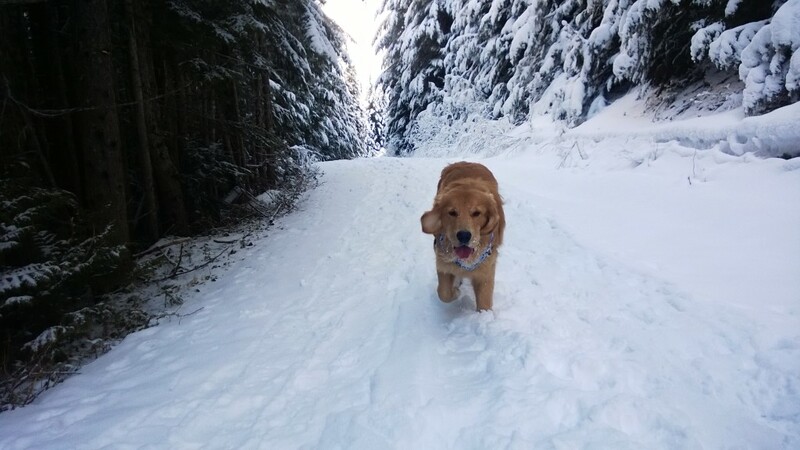 Jackson sure loves to run around in the snow! It’s so fun to watch him just bolt back and forth with the biggest smile we’ve ever seen plastered across his face. 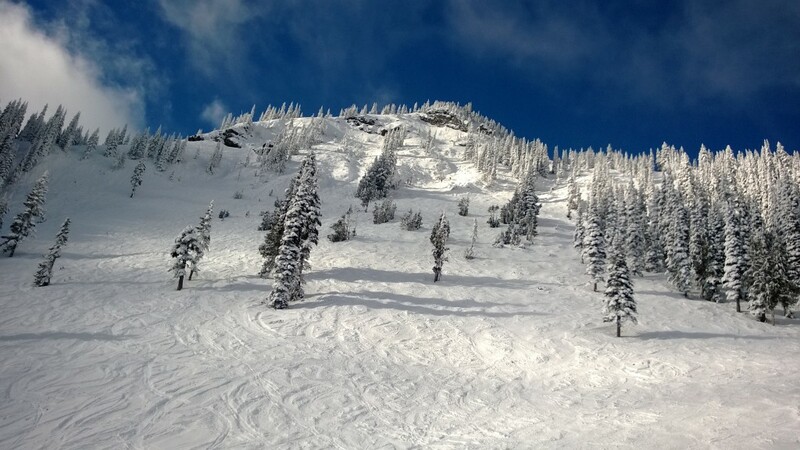 It was a gorgeous day on the mountain! We explored new territory, got to see Mount Rainier and enjoyed each other’s company. On Sunday we had plans to go to the Millers to watch the Super Bowl so we got some errands out of the way in the morning. We had a great time cheering on our home team on Sunday with the Millers and the Buffingtons. It has been a lot of fun to see how spirited Seattle is with a winning team. This gigantic furry ball of energy has a big, big change coming up. He has no idea. After discussing his frequent bursts of energy that are so wild they make him vomit, our veterinarian advised us that it’s time to get Jackson neutered. We had held off on neutering him because we keep hearing that new research is showing that by waiting until a large breed male is fully-grown it can reduce the risk of some cancers. 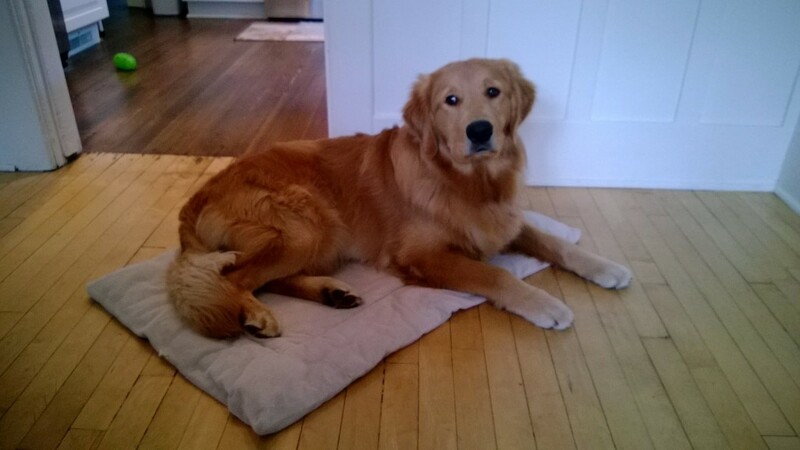 Our breeder recommended neutering him at 18 months and we were going to compromise on a year, but it looks like it’ll be just a few days shy of 11 months for Jackson. 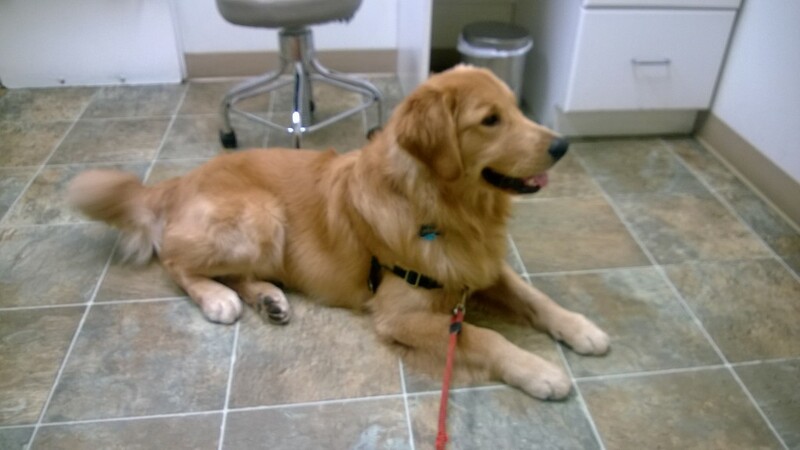 Since last week’s vet visit we have been really working with him on calming down and encouraging calm behavior. We’ve brought out his special mat which seems to really help him mellow out. We have also been confining him to the bathroom again for the last week or so. He just has too much destructive energy and testosterone raging through his body right now to really know what to do with himself! We know he’s a good dog, but we’re both excited for him to be able to take it easy once he gets neutered. 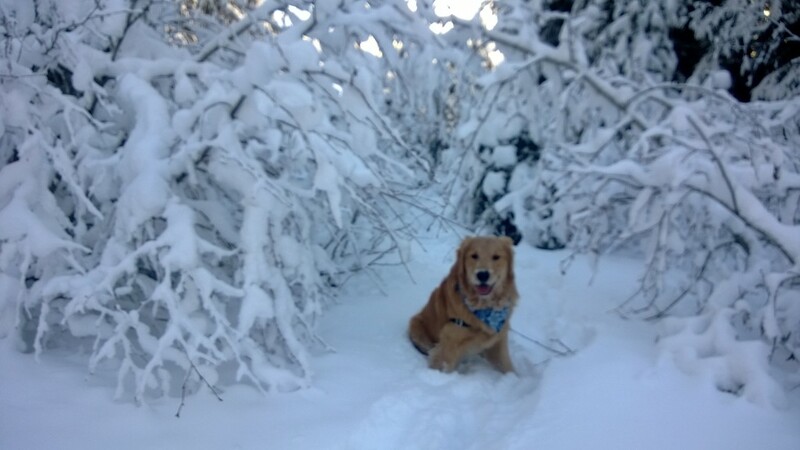 This entry was posted in Life and tagged friends, Jackson, running, skiing, weekend on February 5, 2014 by Alison Allen.